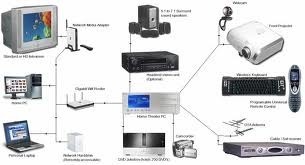 We at Digit Peripherals offer well designed and effective sales and services for hardware & networking, Security & Surveillance System to small, medium and large companies in the public and private industry. Incepted few years ago, and located in Vapi, Gujarat we aim to obtain the best and top quality hardware & networking for desktop computers and others. The organization was established by Mr. Dhruv Patel with an aim to deliver quality services at affordable prices. Our technical professionals are well equipped with latest technology and that’s why we are reckoned among trusted companies in the IT industry. Digit Peripherals has strong tie-ups with many companies and in the past years we have been awarded by huge customer trust which is the biggest achievement for our company. We focus to bring the most innovative technology at your doorstep; therefore we work relentlessly to meet your growing needs and requirements. We believe that the Digit Peripherals solution one where we offer the opportunity for our customers to work with us to meet their requiremets from the comfort of their own desktop. We ”Computer Care Center” in delivering solutions that our customised solutions that met our Critical to Customer (CTC) and Critical to Quality (CTQ) Requirements. Digit Peripherals is a professional Computer Sales and Service Company and it company in Vapi, gujarat, India. building internet enabled software since 1999. Organizations across the world trust us to build them successful, interactive and user friendly web enabled software systems. Based on our philosophy of "Customer First", we develop and provide innovative, safe and outstanding high quality products and services that fulfill the needs of customers. Just as we constantly update and improve our products, we want to continually evolve our company to be in the best position to go faster new products as they come into sight and to better serve our customers. Our strategic mission is be a cost effective leader in the hardware & engineering industry, and to serve our clients with quality and asthetically pleasing products each and every time.